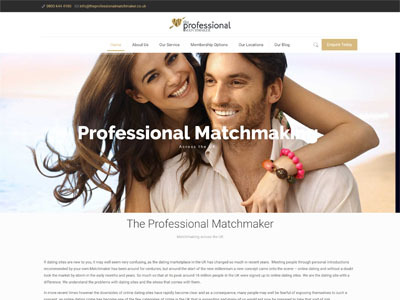 The Professional Matchmaker is our newest brand and offers a dating agency service with a local flavour across England’s 48 ceremonial counties, plus the 15 regions of Scotland and 5 regions of Wales. We are urgently seeking further Franchise Partners, who would like to work towards becoming a Dating Agency Association Accredited Matchmaker or Senior Matchmaker. If you would like to become our expert Matchmaker in your locality and be trained to become a specialist in this exciting and growing arena, then get in touch.